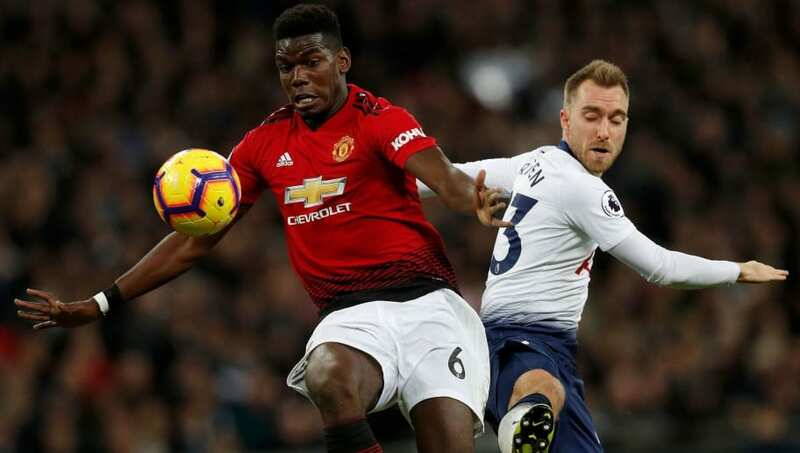 ​Real Madrid will forget about signing Manchester United's Paul Pogba and re-focus their efforts on Tottenham Hotspur's Christian Eriksen, as they fear a deal for the Frenchman would be too expensive. Both players have been heavily linked with a move to the Santiago Bernabeu as part of Zinedine Zidane's squad overhaul. In recent weeks, Pogba has dominated the headlines, but the Red Devils remain desperate to keep the World Cup winner. ​United would likely demand a huge figure to part ways with ​Pogba, and ​Marca claim that ​Real are simply not willing to meet such demands. In addition, while club officials like the 26-year-old, but feel he would not be a good fit for their squad. Marca cite concerns about his personality, his salary demands and his agents, whilst Real may also struggle to find a way to fit him into the team. One of either ​Luka Modric, ​Casemiro or ​Toni Kroos would need to be dropped, and Los Blancos feel as though such a dilemma is not worth the incredibly high price tag. As a result, ​El Confidencial claim Real will refocus their efforts on signing ​Eriksen. The Dane would still command a high transfer fee, but negotiations would be much easier as he is nearing the final year of his contract with ​Spurs. Club officials were incredibly impressed with Eriksen's performance in Spurs' 1-0 win over ​Manchester City in Tuesday's ​Champions League quarter-final, after the 27-year-old created the all-important goal with a crafty through ball. Real feel as though he offers more creativity than Pogba, and this has been a major factor in their decision to move on from the Frenchman. Eriksen has managed 15 assists in all competitions this season, and Los Blancos believe he would improve their side more than Pogba would. Another option on their wish list is Paris Saint-Germain midfielder Adrien Rabiot, who will be available on a free transfer once his deal in Paris expires this summer. He is another option who boasts superior creativity to Pogba, and Real are prepared to pursue the PSG outcast if they cannot land their preferred options.